Earlier in his testimony, he told the court that Turkish President Recep Tayyip Erdogan had approved his and the defendant's sanctions-breaking deals. Mr Erdogan has denied that Turkey breached US sanctions, but the case has strained relations between Ankara and Washington. 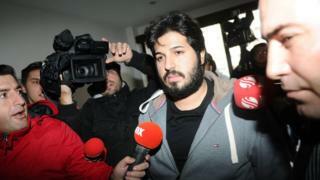 Turkish prosecutors have ordered the seizure of Mr Zarrab's assets. Asked why the allegation came so long after the alleged incident, Mr Jaber's attorney Alexei Schacht said he was only recently hired to be his lawyer and had "filed it as soon as possible". The Federal Bureau of Prisons found the allegations to be "unsubstantiated", AFP reported.